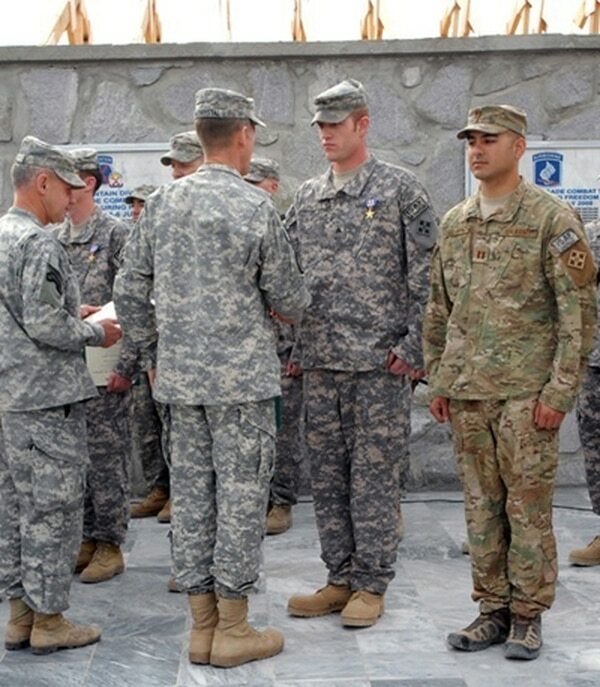 Almost a decade after a notorious battle at an infamous Afghanistan combat outpost that killed eight soldiers, wounded 27 and garnered two Medals of Honor, a noncommissioned officer’s family will see his posthumous Silver Star upgraded. Staff Sgt. Justin Gallegos, killed in October 2009 at the Battle of Kamdesh, will be awarded the Distinguished Service Cross on Dec. 15, a spokesman for U.S. Army Alaska confirmed to Army Times on Tuesday. Gallegos deployed to Nuristan’s COP Keating with 3rd Squadron, 61st Cavalry Regiment, 4th Brigade Combat Team, 4th Infantry Division out of Fort Carson, Colorado. The ceremony will be held at Joint Base Elmendorf-Richardson, Alaska, where Gallegos’ teenage son now lives with his mother. 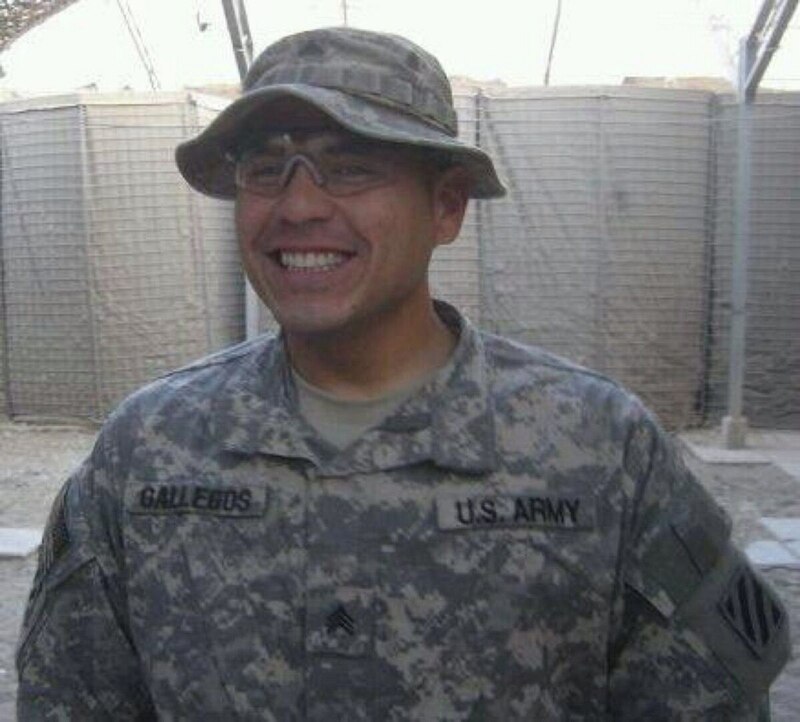 Gallegos originally received one of nine Silver Stars awarded in the battle, for fighting off Taliban who had come inside the wire and pinned down himself and four other soldiers in a Humvee. The Army has so far declined to release the citation and narrative detailing his actions. Army officials would not confirm whether the award had been recommended for an upgrade during the Defense Department’s years-long review of deserving valor awards. But his award did come to the attention of Rep. Martha McSally, R-Ariz., who took up the Tucson native’s cause with an amendment in this year’s National Defense Authorization Act, providing an exception to a rule that requires the DSC and MoH to be awarded within five years of the action. Former Staff Sgt. Ronald Shurer, a Special Forces medic, will receive the Medal of Honor Monday for actions while serving in Afghanistan in 2008. In addition to 37 Army Commendation Medals with combat “V,” 18 Bronze Star Medals with combat “V,” eight Silver Stars and now one DSC, Staff Sgts. Ty Carter and Clint Romesha received the Medal of Honor for their actions in 2013. Members of the Gallegos family will likely not be able to travel to Alaska to attend the ceremony, Amber Gallegos told Army Times, but the award will be presented to Justin’s ex-wife, Amanda Marr. “We are incredibly grateful to all the people who have kept his memory alive and hope he continues to be remembered as the leader he was, both in our family and among his fellow soldiers,” Amber Gallegos said. Gallegos’ heroics are due to hit the big screen in two upcoming movies: “The Outpost,” starring Orlando Bloom and Scott Eastwood, based on the book by Jake Tapper; and “Red Platoon,” possibly starring Casey Affleck, based on Romesha’s memoir.